The government wants us to believe that the Fund and PFD belong to the government to spend as it wishes. This is wrong. The government is spending our dividend, which is Alaskans’ rightful share of our public oil wealth. Misunderstanding and false information about the Permanent Fund system are widespread. The truth is, Alaska’s founders and the people of Alaska set up the Permanent Fund as a trust fund that belongs to all Alaskans, funded from the wealth of our commonly owned oil and mineral resources. We the people amended the Alaska Constitution, allowing for 75% of these royalties to go for government spending, and a small 25% slice of the royalties to go to the Fund. My father, former Gov. Walter Hickel, was not an advocate for the PFD at first but later accepted it. He said, “You, as a resident of Alaska, share in the ownership of 103 million acres of land, all navigable waters and the natural resources our land and water contain. It is your oil, your natural gas, your minerals, your timber, your fish.... A portion of your oil royalties are also set aside in the Permanent Fund from which you, as an owner, earn dividends.” If the oil belongs to the people, then so do both the Permanent Fund and the dividend, which is the wealth derived from the oil. Has the dividend protected the Fund? Yes, until three years ago when politicians started cutting the PFD in almost half, ignoring the PFD law enacted in 1981. Now the whole Permanent Fund system is under attack by raiding politicians. Why is this attack happening? Oil revenues declined and our politicians are hooked on spending. Legislators in both parties continue to spend savings without efforts to use other options for a sustainable budget. They already spent 75% of our oil wealth royalties. But that wasn’t enough, so they have nearly depleted the budget reserves by spending more than $15 billion from these accounts. That still wasn’t enough, so they withheld more than $1 billion for inflation-proofing the Permanent Fund, which effectively decreased the Fund’s value. That wasn’t enough, either. So they cut your PFD by nearly half, ignoring the law for the past three years. Then in 2018, the Legislature passed a law, Senate Bill 26, to access the Permanent Fund earnings reserve account for additional government spending. But this new law has no formula for yearly PFD payments, and that makes paying the PFD optional. 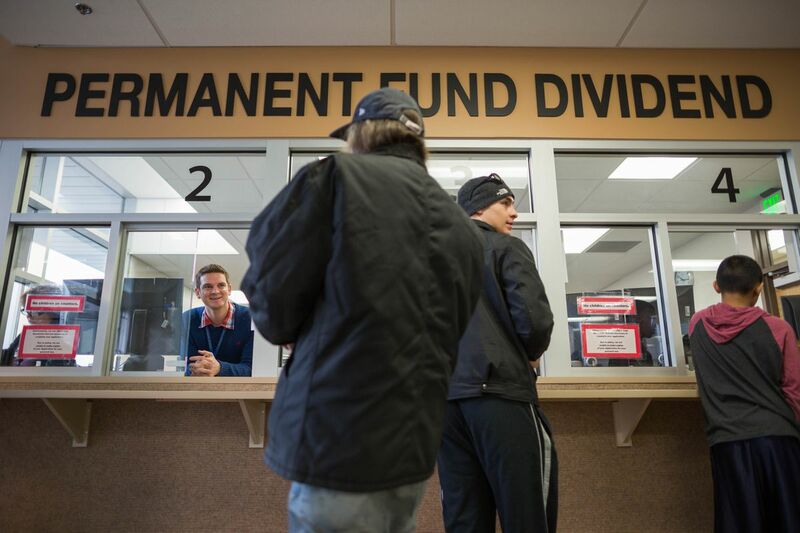 These raids on the PFD and Permanent Fund are ongoing and threaten the security and growth of Alaskans’ savings. The PFD has been a huge benefit to our state for over 35 years. Our elected officials are ignoring the fact that the PFD encourages private-sector development, is the best way to fight a recession and elevates as many as 25,000 people out of poverty. I am proud that every Alaskan with limited financial means, especially those in the rural areas where cash jobs are limited, has an equal share of cash generated from our public resources. I support the reinstitution of the historical PFD law that has paid a full PFD and worked well for residents, the economy and Fund protection. And, I see an urgent need to secure the PFD in the Alaska Constitution to guard it from the grasping hands of politicians. I oppose balancing the budget with Alaskans’ PFDs - it’s wrong. It’s time to have an open discussion about appropriate budget cuts and revenue raising options. If we do not, we will lose the PFD and destroy the Permanent Fund. Now is the time for every Alaskan to ask, “What direction should we take?” Will we allow these threats to ruin the Fund and the PFD which are admired globally as a great example of resource wealth management and equitable benefit for residents? Or will we choose to defend and strengthen our successful Permanent Fund and Permanent Fund Dividend to benefit current and all future generations? Jack Hickel is a family physician with the Southcentral Foundation in Anchorage and vice-president for Permanent Fund Defenders.